This semester marks President Adela de la Torre's first in the position. Here are some of the highlights from this semester. 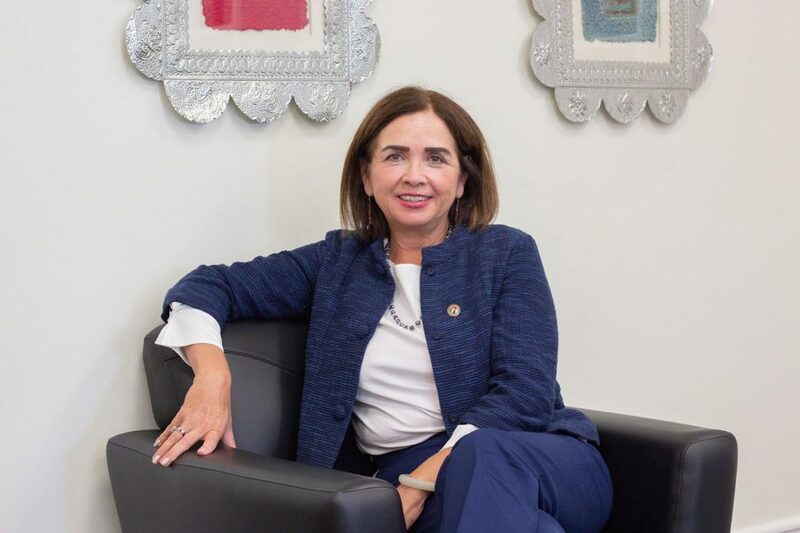 History was made this year at San Diego State with the inauguration of the university’s first female, Latina president, Adela de la Torre. 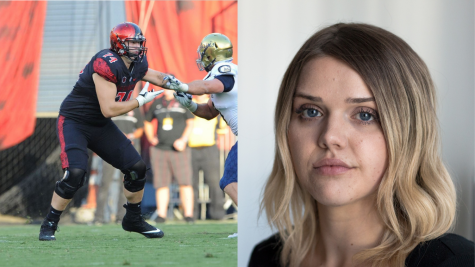 De la Torre arrived at SDSU in the midst of big changes at university. 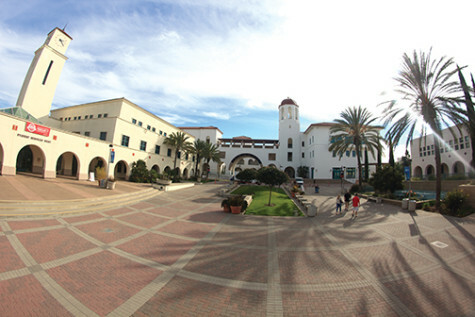 When the new president took office, outgoing interim president Sally Roush had just announced her decision to keep the Aztec mascot after years of controversy — though it would be referred to as a “spirit leader.” The SDSU West campaign, run by outside group Friends of SDSU, was also ongoing at the time. 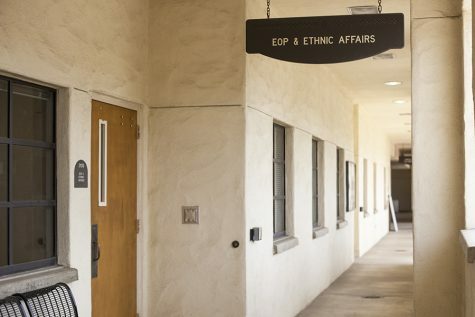 The beginning of the 2018 fall semester was marked by a string of robberies involving students within a three-month span in the College Area of SDSU. 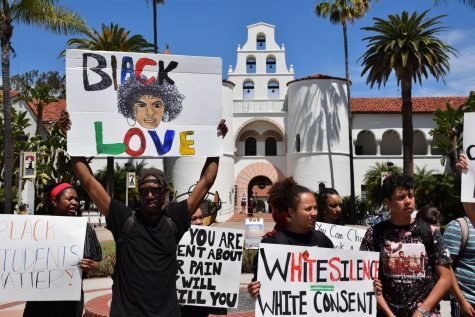 The first report happened Aug. 24, when multiple men reportedly confronted a group of three SDSU students and forcibly stole their cell phones and a set of keys near Mary Lane Drive, with similar cases having been reported throughout September. The last two significant robberies reported happened within hours of one another on Oct. 28. 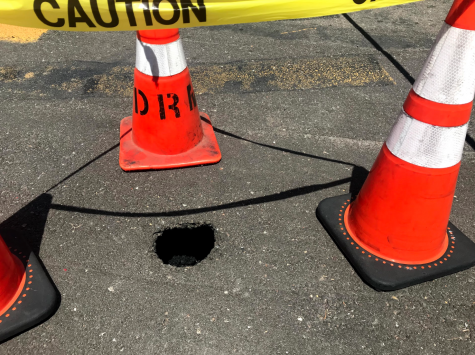 Around 2 a.m. that morning, a group of people reported their cell phones were stolen by five or six men on Prosperity Lane near Faber Way. Two hours later, around 4:15 a.m., police were flagged down by someone who reported they had been robbed at gunpoint on Rockford Drive near Pontiac Street just south of campus. It wasn’t clear if the crimes were connected. 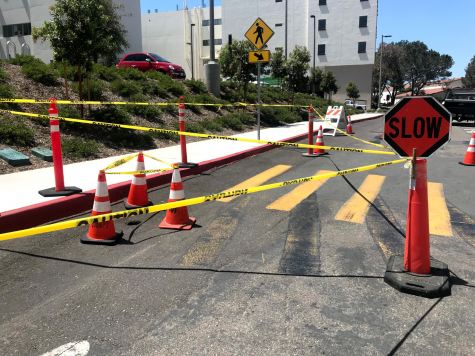 On Sept. 28, San Diego County health officials declared an outbreak of meningococcal meningitis at SDSU after there were two confirmed cases of students living on campus who had contracted the illness. County officials also confirmed a student had contracted the illness while living off-campus over the summer. Following the announcement, the university paired with Walgreens pharmacy, Kaiser Permanente and the San Diego County Public Health Services to host a vaccination event, which students aged 24 and under were heavily encouraged to attend. Students line up for meningitis vaccinations outside of Viejas Arena on Oct. 8. On Oct. 4, the Interfraternity Council lifted their social moratorium, or party ban, on campus fraternities, which had been ongoing since March. In the same meeting, the IFC voted unanimously to impose a hard alcohol ban aimed at making it more difficult for people to experience alcohol-related incidents in the Greek community. The moratorium, which was imposed in March 2018, was put in place after the IFC realized six out of 15 campus fraternities had been placed on either a suspension or probation. In order for the moratorium to be lifted, fraternity chapters had to have certain percentages of their memberships attend numerous events on topics like toxic masculinity, hazing, substance abuse and being a good neighbor. 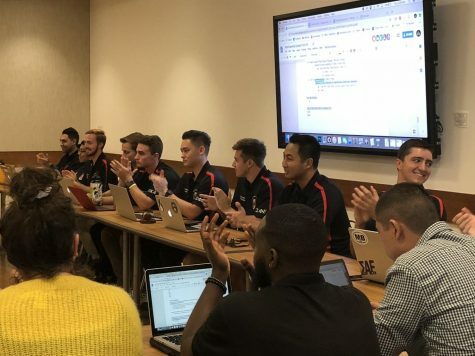 SDSU’s Interfraternity Council unanimously voted on Oct. 4 to to end a months-long social moratorium and impose a ban on hard alcohol. On Oct. 18, weeks after Walgreens had administered its meningitis B vaccines to students, the pharmacy issued a statement saying it was made aware that the vaccine temperature at the time of administration was not optimal, forcing about 350 students to get re-vaccinated. 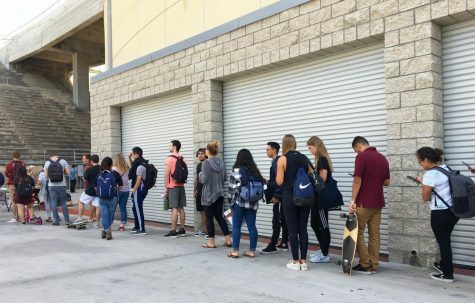 Later, the university issued its own statement, saying it was working with Walgreens and the County of San Diego Health and Human Services Agency to ensure all students who were affected by the defective vaccinations distributed by Walgreens got re-vaccinated. 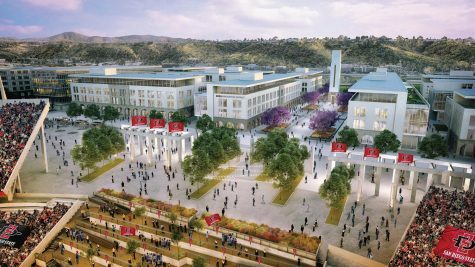 The SDSU West initiative sailed into victory on Nov. 6, making the university’s hopes for a campus expansion a reality. The campaign for Measure G was lead by the group Friends of SDSU against the opposing Measure E, or SoccerCity, campaign. 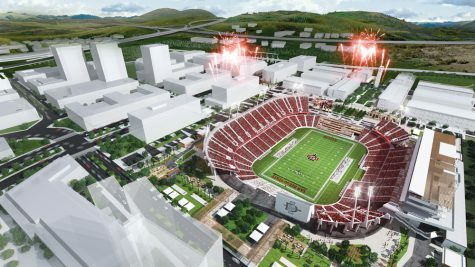 SDSU’s preliminary plans for the site include a 35,000-seat joint-use stadium, a 50-acre river park, about 1.6 million sq. ft. of campus space, two hotels, 4,600 housing units, approximately 95,000 sq. ft. of retail space and transportation improvements. 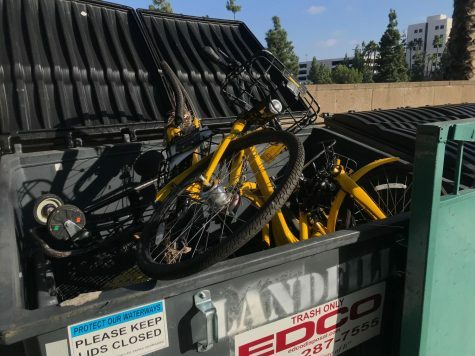 In early November, the university made the decision to cut their pilot partnership with the bike-sharing company Ofo short after the bikes failed to live up to their promises. The bikes began disappearing from campus about a month and a half earlier than expected, clearing the way for potential partnerships with other ride-sharing companies in the future. While the bikes were popular among students when they first came to campus, Associated Students Sustainability Commissioner Cassie Weinberg said they proved to be a nuisance, often blocking pathways or ending up in trees and ravines. Ofo bikes are often found damaged around campus, something Associated Students Sustainability Commissioner Cassie Weinberg said has contributed to the end of the university’s partnership with the company. Senior middle blocker Deja Harris set a school record for block assists in the final game of the regular season for SDSU volleyball. Harris finished her career with 484 block assists to break the 26-year-old record of 480 block assists held by Jennifer Miller. Harris was the lone senior on the volleyball team, which finished the season 10-21 overall and 8-10 in Mountain West Conference play. Her 147 block assists this season were the fifth most in school history. 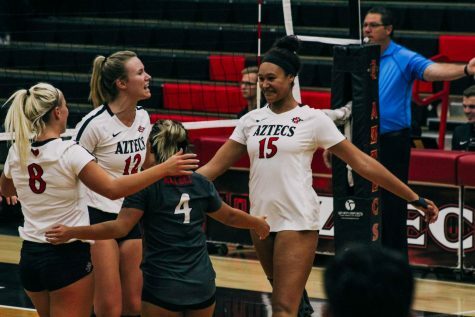 Senior middle blocker Deja Harris (right) celebrates with her teammates after earning a point during the Aztecs five-set loss to Louisiana on Sept. 15 at Peterson Gym. Senior kicker John Baron II had a career year for SDSU football, racking up five Mountain West Special Team Player of the Week awards, which ties for the most in a season in league history. Baron was a perfect five-for-five from 50-plus yards, including a career-high 54-yarder in an Aztec victory over Arizona State, and finished the regular season with three game-winning field goals. Baron has converted 12-of-17 field goal chances going into the Aztecs bowl game against the University of Ohio. Four Greek organizations on campus found themselves in hot water within a month of the end of the IFC’s social moratorium. On Oct. 17, the Kappa Alpha fraternity chapter was placed on an interim suspension after a student was found to have been seriously injured at the chapter’s house. 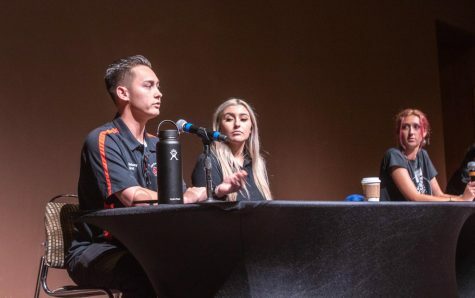 The next day, on Oct. 18, SDSU’s Sigma Nu chapter was removed from campus by their national organization due to an unspecified alcohol violation. Then, a Halloween incident left the Sigma Phi Epsilon fraternity chapter and Alpha Phi sorority chapter with interim suspensions, though university officials wouldn’t describe the event in detail.